Tossing food in the air! It's the Lunar New Year soon and it's when Yusheng (鱼生) is back in the menu for many Chinese restaurants. 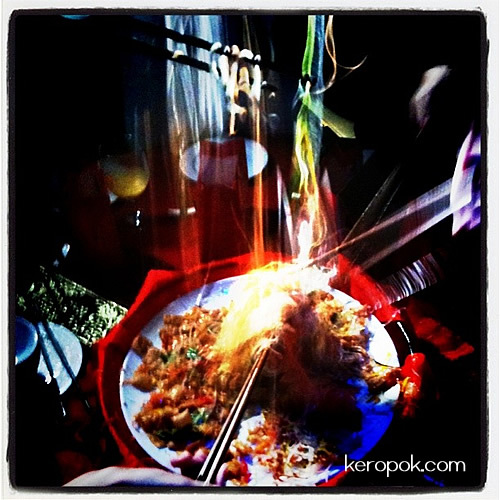 I had the opportunity to toss yusheng at 165 metres in the air on the Singapore Flyer! Instagram Photo: Saying No to No?